For Iceland it’s going to be the 30th entry in the Eurovision Song Contest this year – so congratulations! Like every year the Icelandic broadcaster RÚV has put a lot of effort to make it a real Icelandic music festival with three live shows called “Söngvakeppnin”. Out of seven finalist the Icelandic public and an international jury has voted for “Paper” sung by Svala with almost double the points to the runner up. Svala Björgvinsdóttir was born in Reykjavik 1977. She grew up in a family of musicians. Her father is no less than Bo (Björgvin) Halldórsson, who represented Iceland in the 1995 ESC in Dublin with “Núna” and made a 15th place. In the age of 16 Svala founded her first band “Scope”. 1999 she could sign a contract with EMI which brought her great success. Her first album became platinum status in Iceland and the song “The Real Me” became a Top 30 hit in the Billboard charts in the USA. In 2006 she formed a new group called “Steed Lord” with the brothers Einar and Edvard Egilsson which has been producing electronic synthie pop. Together they have been touring through Europe and the USA. They have regularly performing on Gay Prides. The trio moved to Los Angeles, USA in 2009. Here they became also fashion icons. Svala was also jury member in “The Voice Iceland”. The Song “Paper” is a mid-tempo song with electro elements, which has been composed by Svala and her husband Einar. The video clip has been filmed in a coffee factory, which appears a bit unreal. The song title “paper” is meant a metaphor for an emotional stage "But you make me feel like Paper, You cut right through, I'm stuck like glue to you". Due to the fact the Iceland has been struggling with the qualification for the Grand Final in the last two years, it seems that this entry would not be able to change it. There is no real climax or hook in this entry so that it will be difficult to stand out of the other competitors. Let’s hope Svala is having a great stage performance. The Icelanders have always followed the ESC with great enthusiasm, it was broadcasted a long time ago in Iceland, but they had to wait until 1986 where the technical preconditions were ready for a live transmission. So Iceland made its debut with "Gleðibankinn" by Icy. This song has already a cult status and it's being sung on almost every Eurovision party, especially in Iceland. Interesting to know that the singer Pálmi Gunnarsson has participated in the Icelandic pre-decision, unfortunately he did not reach the final in 2016. 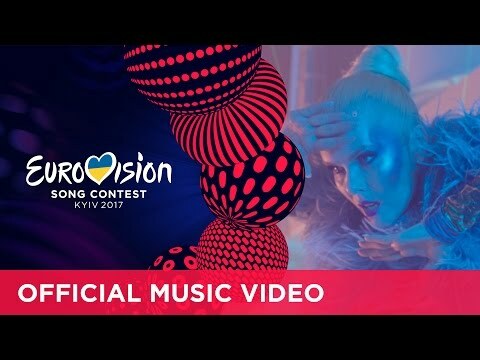 Iceland could reach the final 24 times and reached the Top10 five times! The chances to reach one of the Top10 places are 17% and to reach the Grand Final is at 62% (since 2004). Two times Iceland has made the fabulous second place in 1999 and 2009. In recent years Iceland was able to qualify for the Grand Finals since 2008. Unfortunately they did not in the last two years. The most fascinating fact is that the creativity in this small country with only 320.000 inhabitants is so enormously high, that music from Iceland has become so popular. The most popular Icelandic singers in general are Björk, Sigur Rós, Mezzoforte and GusGus (Daníel Augúst Haraldsson, 1989 with “Það Sem Enginn Sér").